Every family unit or community designates certain roles to people. Far from just being the ‘parent’ or ‘child’, we take on the characteristics that give us meaning and purpose in that space. Sometimes these roles can be constructive, and they teach us that we have something unique and valuable to contribute to society. But often when we are in a toxic environment and are in an unhealthy space, we take on roles that harm the people around us, as well as ourselves. These roles have different names and characteristics. You may have even heard of some of them— ‘the narcissist’, ‘the golden child’ and ‘the devil’s advocate’ are all common. So are ‘the matriarch’, ‘the enabler’ and ‘the peacemaker’. The infographic below created by Swan Waters details six common roles we see in a toxic family unit. If you have grown up in a damaging environment, you may have identified with some of these to survive. In fact, years later, it is easy to revert to these roles in order to make it through conflict. Take a look at the toxic roles below, and see if you identify with any of them. Maybe you can even associate them with different members of your own family. Family therapy makes it is possible to break these roles, and restructure the family unit. And individual and couples counselling provides you with a more individual approach that will show you how to recover from your own pain, and conduct healthy relationships. So, which roles sound familiar to you? A family can be a healthy, life-giving unit. You can start cultivating that today by understanding the characteristics that make it unhealthy. 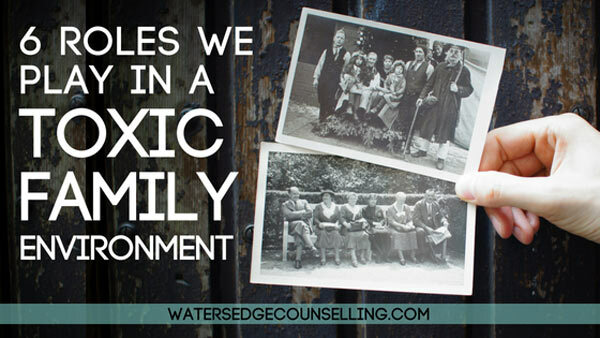 Did you grow up in a toxic family unit? Do you need help communicating with unhealthy family members? Here’s what you need to do: Contact Colleen on 0434 337 245, Duncan on 0434 331 243 or Rachel on 0422 177 193 for a FREE 10 minute consultation on how we can best help you or book online now.